Ryan McCann is a 32-year-old hairstylist with a self-proclaimed edgy flair when it comes to clothes. She beamed with excitement that Wednesday morning when we met outside the dressing room at Image for Success, a unique volunteer-based clothing store located a few miles north of the San Francisco Golden Gate. 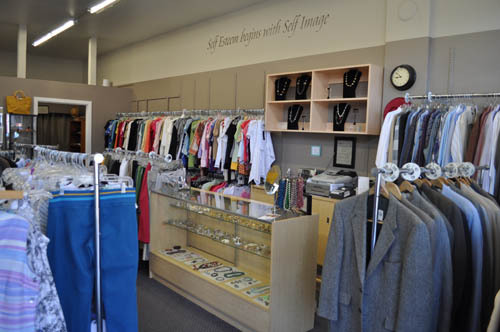 IFS accepts donations of gently worn clothing to provide wardrobes to Marin County women, men and children who are transitioning to self-reliance. The organization has helped more than 7,650 men, women and children over the past 13 years, with 80 volunteers assisting an average of 100 clients monthly. 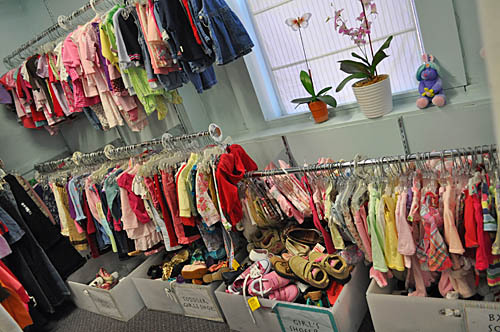 It is the only non-profit in the U.S. offering services to provide wardrobes to entire families in need for very little cost or no fee to the client. Ryan was keeping her appointment with two IFS volunteer dressers, Diane Bazler and Penelope More. 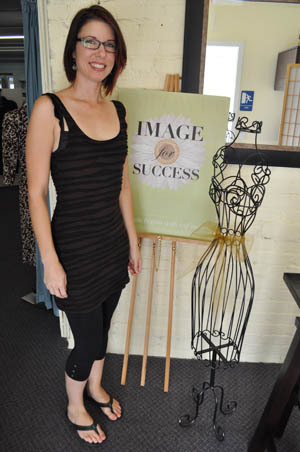 She had been struggling to get her business off the ground and was grateful for the opportunity to find confidence-building clothing for work. Ryan had come on a referral from The Women’s Initiative, one of 50 social service agencies who partner with Image. This non-profit provides high-potential, low-income women with the training, funding and ongoing support to start their own businesses and become financially self-sufficient. Ryan graduated from the program at the end of July, 2012. Shortly after that she used her new found courage and voice to land a job at Pin Up Hair Emporium & Unique Boutique, a socially and environmentally conscious shop directly across the street from Image. To begin her session, Diane and Penelope welcomed Ryan and showed her to her dressing room. They chatted a bit to learn which colors you couldn’t pay her to wear (bright blue, pink and red), her favorite colors (earth tones) and whether she likes jeans, skirts or pants (yes). Armed with this basic knowledge, they went to work pulling outfits from the Women’s Boutique, a large selection of clothes, shoes and accessories in the back of the 4,000 square foot space. The retail store occupies the front section where you and I can shop, and the proceeds are used to stock the various boutiques. With only one hour to complete the session, the dressers worked from a sheet that designates what each client should have in their shopping bags when they leave. The list has recently been adjusted based on the increasing number of clients needing IFS’s services—“a sign of the economic times,” said Diane—but the goal is to give an interview outfit and a two-week wardrobe including (as needed) accessories, a watch, undergarments, pajamas and shoes. Clients also receive an invitation to come back in six months for another seasonally-appropriate wardrobe and a 25% off discount card to shop in the retail store. After having too much fun watching Diane and Penelope dress Ryan, the staff invited me to the Annual Fall Salebration taking place the next day at the home of a supporter in Lucas Valley. This is a special event for IFS volunteers with delicious food and incredible shopping to benefit Image. I jumped at the chance to come, take more pictures and—most importantly—have a built-in chance to talk with founder Barbara Lee. We met initially two years ago when she interviewed one of the teens on my family’s small foundation’s junior board and facilitated a grant for them. I was already impressed by what little I knew of her story and was keen to learn more. Barbara was born in Los Angeles and raised by a loving grandmother to believe that compassion for others is a gift to oneself. She moved to the SF Bay Area at 18 during WWII to work for Standard Oil and later for United Airlines as a stewardess. 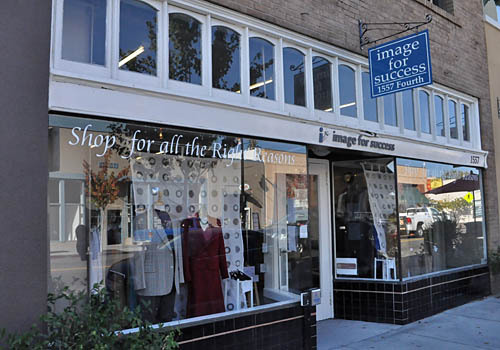 She was 70-years-old when she founded Image for Success in 1999. 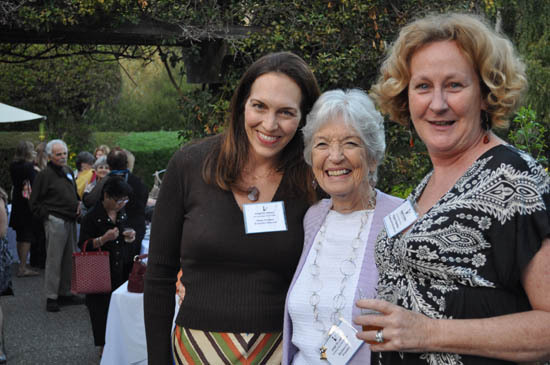 She said she reinvented herself, “but I didn’t do it alone.” She had raised seven children, retired from a successful interior design career, gone through a divorce and left her mark on the hearts of many in the Marin Community through her volunteer work. She felt the timing was right in 1999. President Bill Clinton had gotten the Welfare to Work program through, and this idea of providing clothes for women was starting to happen around the country. 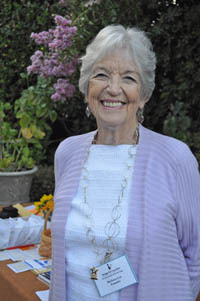 Mary Kay Sweeney, Executive Director of Homeward Bound of Marin, gave IFS its first desk in one room. After the San Francisco Chronicle did an article on them, 50 women came to volunteer. In the beginning they served only women and eventually moving to San Rafael. One foggy day at a parking lot sale where everything was 50 cents, a woman came with her three children, and they had no shoes. 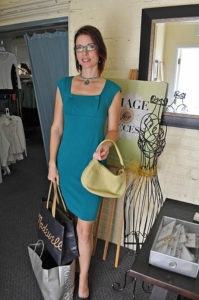 That prompted the choice to start the Children’s Boutique. Services to children are free. When Barbara heard about men coming out of prison with either the clothes wore going in or sweat suits, Image created the Men’s Boutique. Now they serve the whole family. Barbara has an easy elegance that can go from boardroom to bargain basement, making anyone she meets feel comfortable and validated. This mood and philosophy begins with her and has a ripple effect throughout the organization from staff to volunteers. I asked her to put in a capsule how she feels about where Image began and where it is now. She paused—a little teary—and said, “I’m grateful and proud.” As she should be. 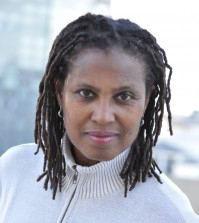 Anita Gail Jones is a writer, visual artist and oral tradition storyteller. Her novel-in-progress, Peach Seed Monkey, was a novella semi-finalist in the William Faulkner-William Wisdom Creative Writing Competition. She’s the Executive Director of the Gaines-Jones Education Foundation, a family foundation she co-founded with her husband, Robert Roehrick of Roehrick Design. They live in northern California with their daughter. You can contact Anita at peachseedmonkey@gmail.com and visit her blog here. Great job Anita! I think this is the best story on Image that I have seen. You captured the personalities and the vibe perfectly. As a long time volunteer with almost twenty programs over my years in Marin, Image is my favorite volunteer experience. Thanks, Penelope! It was fun to watch you in action, dressing Ryan that day. Clearly you love that volunteer job! Thanks for all you do! Thanks for the wonderful article on Image. 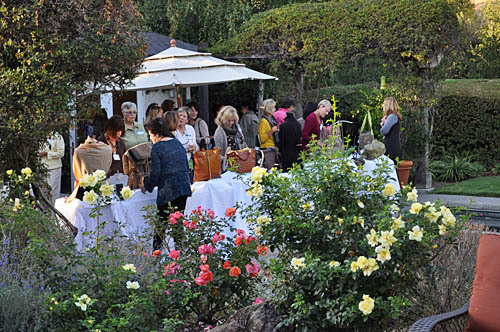 It is a marvelous organization that helps so many people in Marin. It is a fabulous place to volunteer, a truly rewarding volunteer experience. And thank YOU, Diane, for all you do. I enjoyed watching you and Penelope in action!